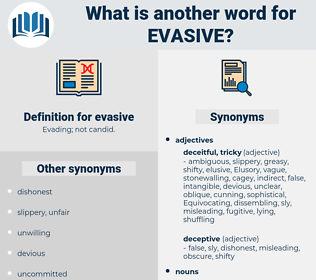 What is another word for evasive? 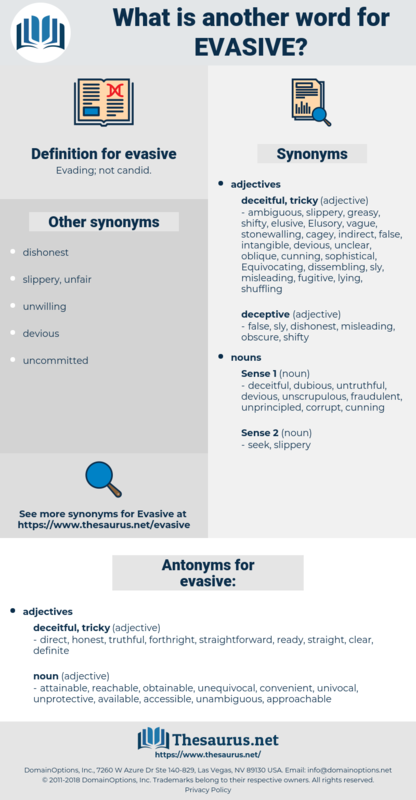 direct, honest, truthful, forthright, straightforward, ready, straight, clear, definite. attainable, reachable, obtainable, unequivocal, convenient, univocal, unprotective, available, accessible, unambiguous, approachable. I instantly inquired of the latter what the man had said to him, but only obtained an evasive answer. He thought Richard's answer an evasive one.